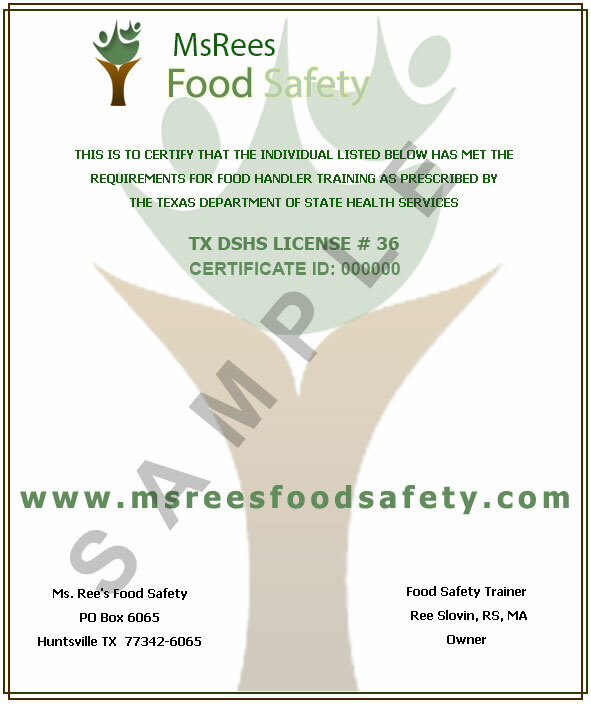 Ms Rees Food Safety – Get Your Food Safety Certificate NOW! with a Certificate of Completion! READ through our course and learn the key elements to Food Safety. Our website is not full of a bunch of pictures and unnecessary activities...it gets directly to the point! Training sections have short quizzes and with our course you can retake any quiz until you get the answers right. You're sure to PASS and get your food handler certificate! Once completed you will be able to print your certificate and get to work with the knowledge needed! What are you waiting for? ONLY $9.99! 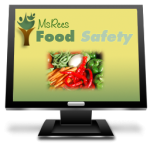 Get YOUR certificate Fast with Ms. Rees Food Safety Course! Once completed you will have the certificate required by your employer. The certificate is good for 2 FULL YEARS! You don’t want to be the cause of a foodborne illness outbreak. It could cost you your job, so always think food safety!